Published: Oct. 19, 2015 at 09:34 p.m. Published: Oct. 22, 2012 at 05:45 a.m.
(:46) (Shotgun) R.Griffin pass short middle to S.Moss to WAS 43 for 11 yards (C.Blackburn). 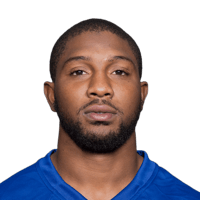 FUMBLES (C.Blackburn), RECOVERED by NYG-J.Hosley at WAS 43. J.Hosley to WAS 43 for no gain (J.Morgan). Published: Oct. 15, 2012 at 03:49 a.m.